Then 'Twilight' should have been in the middle. 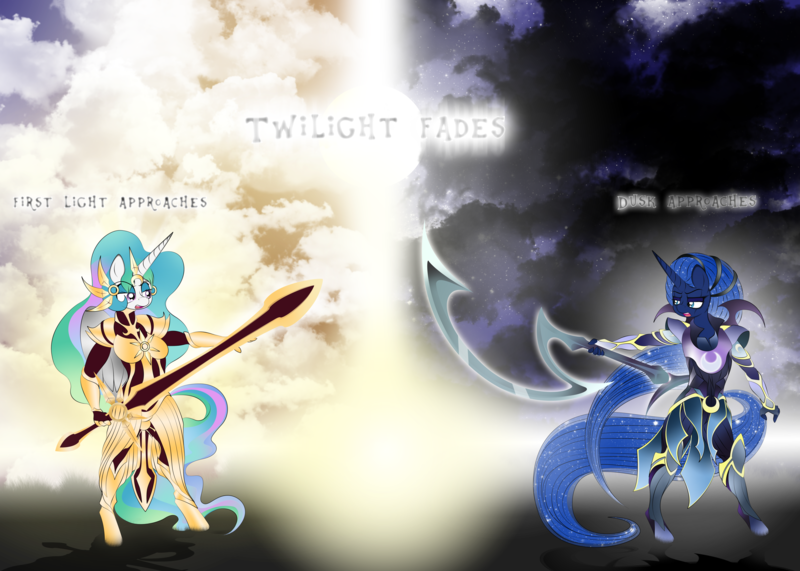 Nice one but aint celestia (leona) missing her shield? Awesome composition on the piece!